Dark and sensual, light yet intoxicating; the sound of DJ Red’s Electric Deluxe debut, ‘Duality’, is so in everyway. With over 15 years experience in residence at Rome’s renowned Goa Club, as a DJ Simona Calvani’s penchant for sultry, minimalistic techno has finally made its way onto record in the form of this round and immersive three-track EP. A trio of releases for Unpolite Records, followed up by last year’s ‘Eyes Are Blind’ on BPitch, marked DJ Red’s entry into production. But ‘Duality’ sees Calvani command the subtle yet potent timbres that have defined her career so far. “Duality” opens with charged and edgy pads before breaking out into a deeply groovy saunter. Then on the flip, “Double Vision” rolls grumbling bass through a fog of building atmospherics before concluding on an ambient IDM tip with “Destiny”. 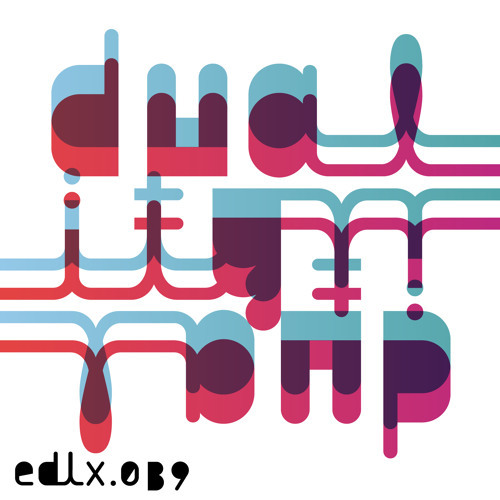 All in all ‘Duality’ is a brooding listen and powerful entry into the EDLX fold. ‘Duality’ is the first installment from this budding production force. Expect more compelling dancefloor concoctions to come.